The Democratic Liberal Government led by Emil Boc lost a censure motion vote in Parliament on Tuesday, becoming the first government of Romania to fall in such a manner in the country's 20 years of post-communism. 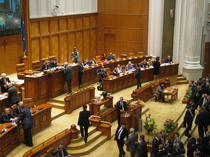 The motion censure was initiated by Liberals (PNL) and Hungarian Democrats (UDMR) and supported by the Social Democrats (PSD). 258 MPs voted in favor of the censure motion with 176 votes against it. In order to pass, the motion had to be voted by at least 236 MPs of a total of 471. The Democratic Liberal (PDL) ministers will keep their seats for an interim period until a new government is chosen and voted by the Parliament. The interim Government cannot issue emergency ordinances. 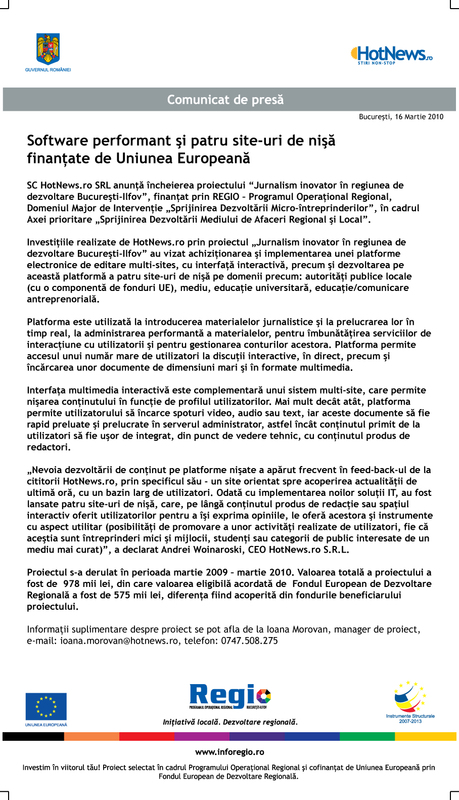 UPDATE 2 PSD leader Mircea Geoana supports a government of experts in various fields. "The (Boc) Government had no chance to resist", he said. PSD had withdrawn from a governing alliance with Boc's PDL earlier this autumn.